5 Easy-to-Grow Plants that make your Florida Garden Shine! Congratulations on moving in to your new home or space! Now that your furniture is all settled, have you considered how to enhance your landscape and garden? Gardens add value to your home and really help to express personality and creativity. Not to mention, gentle gardening can be fantastic for your overall health and well-being. So you might be wondering.. Where do I even begin? Starting a garden is easy when you choose plants with the right temperament for your climate. 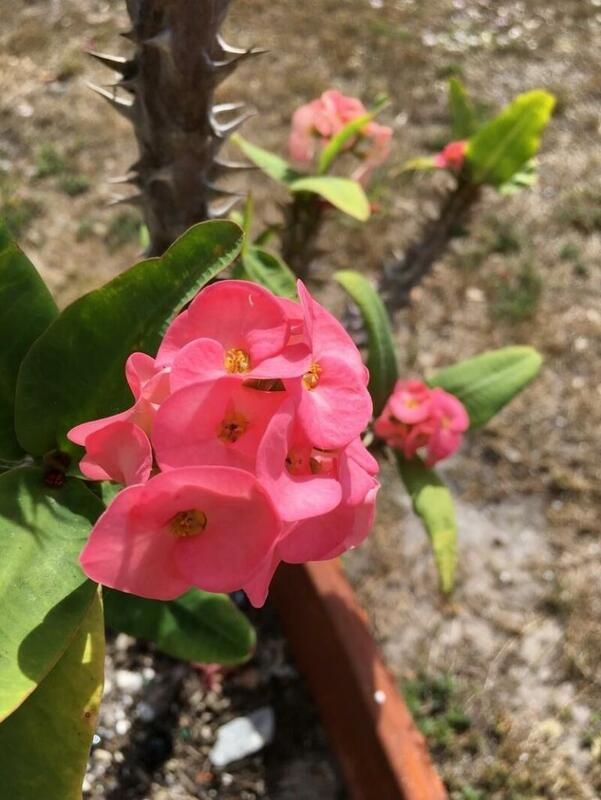 Here are our top 5 easy-to-grow plants on the Space Coast! Find your green thumb! 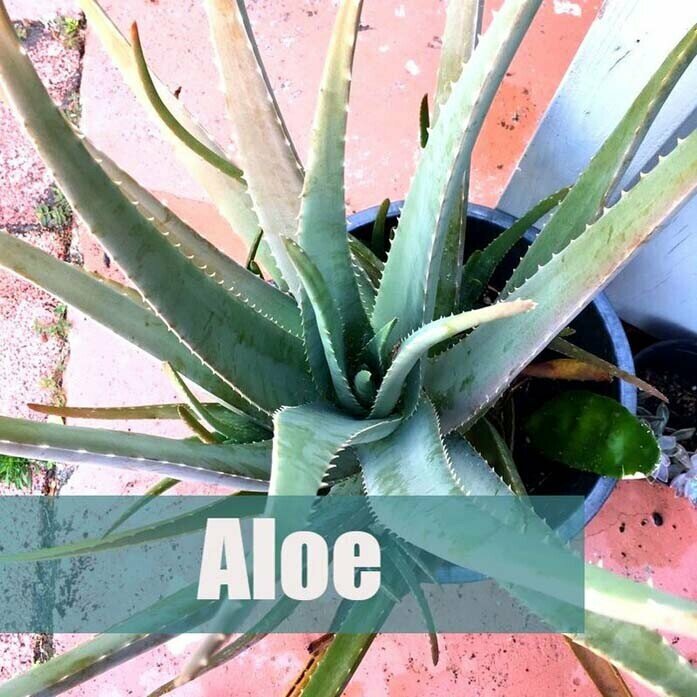 Aloe Vera – Aloe Vera is one of the most useful and pretty plants that one can grow in a Florida Garden. 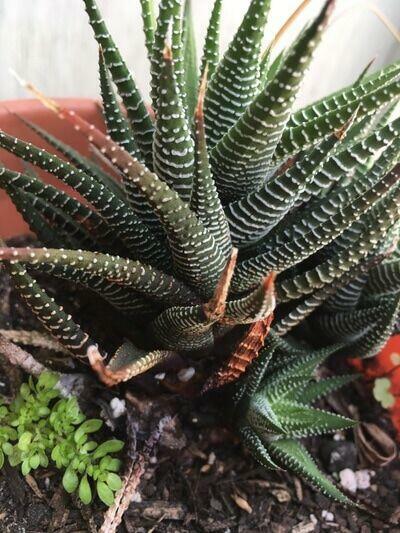 Aloe’s require minimal watering and are incredibly hearty in the heat. 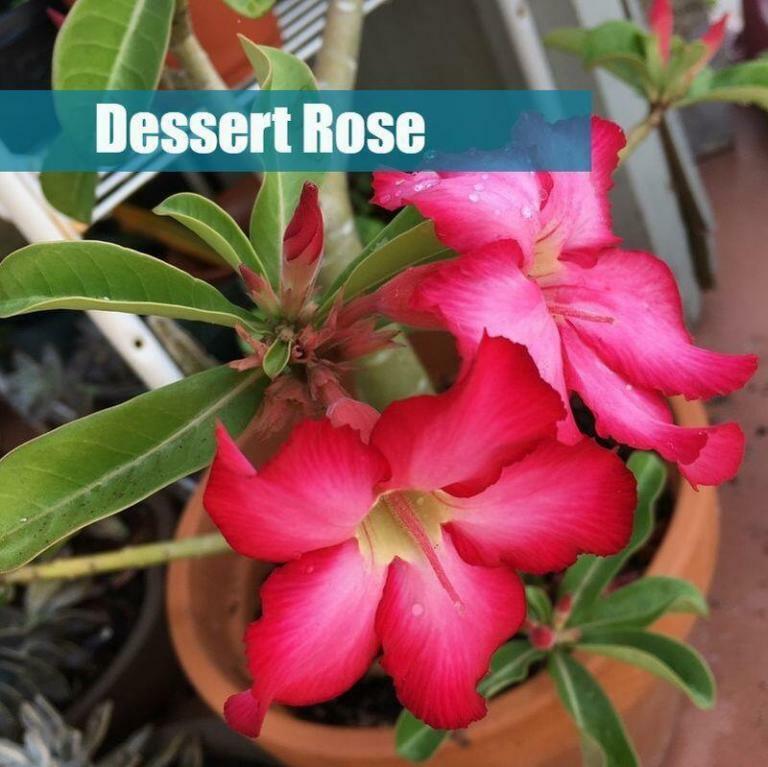 They do well in sandy soil, and can be located in full or partial sun. This is especially helpful in the summer as many plants tend to dry out in the summer heat and require a lot of watering. Another added benefit of Aloe is medicinal and skin nourishing qualities if you cut the lower leaves off and slice through the side of them to access the gel-like center. It is excellent to soothe sunburn from being on the beach, and if you have an upset stomach you can even eat the flesh inside the leaves to soothe it. 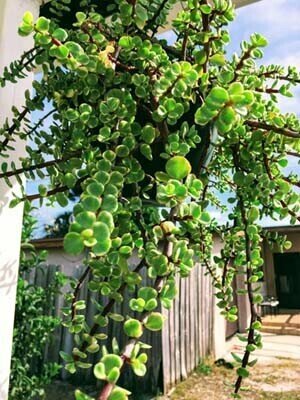 Small Succulents – There are many types of succulents that grow well in Florida in partial or full sun. 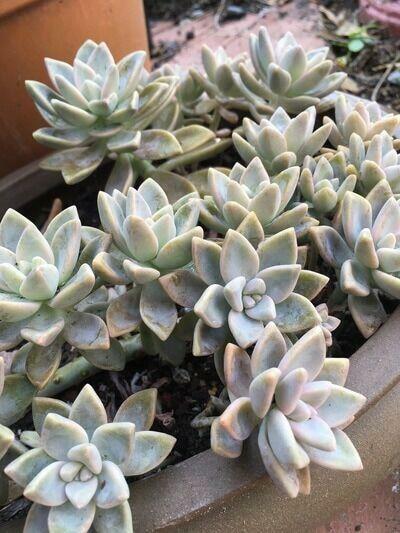 Two of our favorites are the Ghost Plant and the Jade Bush. Both grow really quickly with fun shapes and most don’t have Spines or thorns. Another great thing about succulents is that they propagate very easily through trimmings and also through the leaves themselves. This enables you to grow beautiful and easy gifts for your friends and family. Cactus – Cacti are very easy to grow and do well in sandy soil. Many have beautiful flowers through summer and the spring. Did you also know that there are many types of Cacti that do not have spikes? I would recommend if you are putting a cactus in the ground and not in a pot to consider only planting the kind without spikes or thorns. If not, growth can really become a headache when it is time to trim because you are very like to scratch your hand or get splinters from tiny sharp spines. 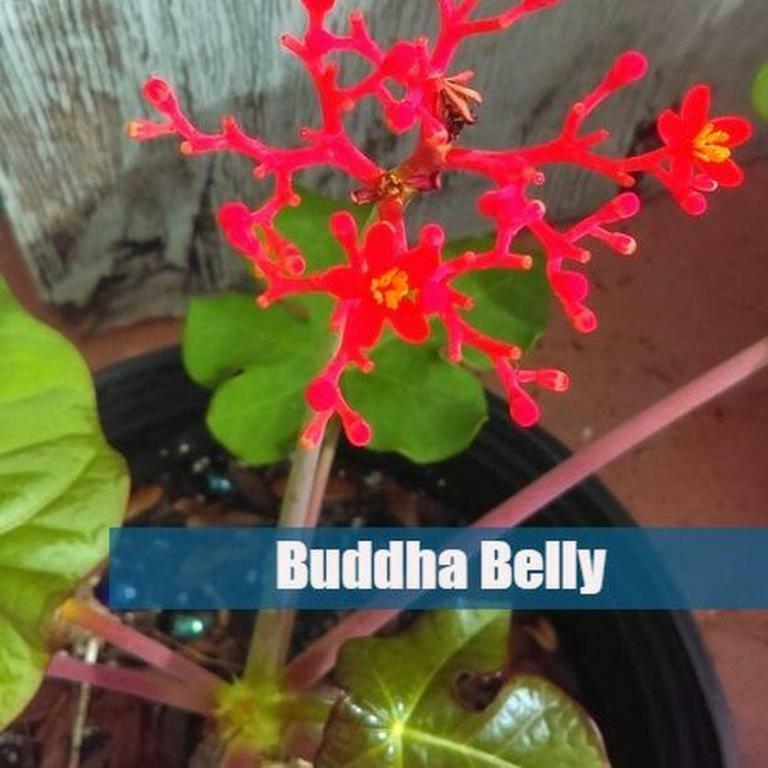 Buddha Belly – Buddha Belly Plants do best in partial Florida sun and grow really full, nice leaves. They hold a lot of water in the stem so it is okay to miss a few days of watering. They flower interesting orange coral shaped flowers between the large green leaves. The are a really fun addition to any garden! What is your favorite plant to grow? Let us know in the comments below. We’d love to hear from you!